The final decision. It’s something we expect to encounter, inevitably, at the end of any game about making choices. One last chance to make the universe bend to our will. Mass Effect does it, The Walking Dead does it, Life is Strange does it. Infamous 2 does it too, like the rest of the games in the series; like any other game with blue for angels and red for demons. But there’s something very odd about the end of Infamous 2. Mechanics and story merge and react violently to create something altogether, well, incorrect. Infamous is not a series known for its subtle take on morality. In an industry where even the critically acclaimed masterpieces signpost their choices with warning text, colour-coding and dramatic slow-motion, the Infamous games manage to white-out every possible shade of grey. It’s not surprising considering they take inspiration from superhero comics, in which people wearing silly clothes often do the right thing because it’s the right thing in that very unambiguous, suitable-for-children kind of way. And yet, the stories in the game contain some interesting moments and genuinely thoughtful discussion points about everything from racism, to accountability, to appropriate government action or inaction. Infamous 2 takes main character Cole McGrath on a predictable yet interesting tour of the chaotic effects that the emergence of a whole new breed of humans would have on society. He meets Joseph Bertrand III, a fanatical southern gentleman who whips crowds into religious fervour to stoke hatred for those with powers. He befriends two women, NSA Agent Lucy Kuo and swamp-dweller Nix, who represent the almost-duality of logic and emotion that rages within Cole himself. He struggles with the past betrayal of his best friend Zeke and he comes to terms with the evolution of his physical form and the world around him. The mechanics of the game don’t always align with narrative intentions, as with any open-world title. While you do gain good or evil “karma” from acts such as healing or harming the population of New Marais, changes to your internal goodness clock don’t prevent you from being a good or bad person when the next cutscene rolls around. Generally speaking, however, I felt as if I was able to play out the practical and well-meaning version of Cole I wanted to. Until the ending came along. Specifically, the plot points and choice that lead you to the ending. Late in the game, Cole discovers that The Beast—the ominously named raison d’etre which has been blowing up the east coast of the United States—is John White, an agent who supposedly died when the Ray Sphere went off in Empire City during the events of the first Infamous. White explains that he can activate Conduits (people with the potential for super powers), and that all Conduits are immune to a deadly plague spreading through the country. At this point you’re given access to an X-ray type ability which reveals the plague at work inside each and every person in the city. The upgrade has little gameplay purpose; it’s primary function is to bring home the serious and comprehensive impact of the epidemic. The scene is set for the ultimate decision. Later, Cole and his merry band discover that Infamous 2‘s Deus Ex MacGuffin, the RFI, has the unfortunate side effect of killing anyone with the Conduit gene. The shorthand of all the events up to now is that working with the Beast will kill people lacking the gene, while turning on the RFI will do the opposite. And then the game asks you to choose, framing the internal conflict externally using ice-blue Kuo and angry-red Nix. Having played the good, righteous and idealistic Cole McGrath, I got ready to side with The Beast. But the game—and many reading this, I’d wager—had already designated this as the evil decision. On the surface it makes sense, given that John’s plan includes the slaughter of nine hundred and ninety-nine humans for every one Conduit saved. Killing people is bad. The alternative, however, is to kill the Conduits for the sake of so-called normal people. The morally good choice starts to look more like the politically positive. Infamous‘ karma system has declared it better to kill some people to save many than it is to kill many to save some. Morality by majority. Which is perfectly okay, of course. All morality is the result of subjective opinions about societal benefits and detriments reaching consensus. It’s also the extermination of the “other”—the removal of those who are different—to save Joey Average, which has interesting implications given that was the genocidal goal of Bertrand (who is, by volume, the main villain) all along. Something for another time. Besides, pulling the loose threads of the ending narrative presents a much less black and white problem than Sucker Punch perhaps intended. John demonstrates his powers directly to Cole, and therefore the player. We know beyond a shadow of a doubt that The Beast can activate Conduits and, as a result, trigger their plague immunity. In contrast, the Ray Field Inhibitor is only said to cure the plague in theory. The inventor intended it to do so, but his own notes are far from conclusive. This is why I assumed the ending where Cole teamed up with The Beast was a clever way to force players to make the good choice even if it required bad things. Choosing to activate the RFI runs the risk of not only failing to cure the plague, but also destroying the only other option. Siding with The Beast seals the fate of a huge percentage of the populace, but killing him risks everyone on the planet. In reality—Infamous‘ reality—it doesn’t, of course. Being the good guy means everything works out, more or less. Existing in the warped world of comic book heroes (and video games), taking the incredibly risky path of niceness means the RFI gets activated and does exactly what they thought it would do. Humans are cured, and the vast majority of Conduits die. Cole becomes a hero in death and beyond his unfortunate demise—along with every guilty or innocent person carrying the Conduit gene—nothing bad happens. Conversely, and according to the tradition of binary choice in video games, the evil ending is the definition of hyperbolic villainy. After being given the power of The Beast, Cole and Kuo lead a band of frowny-faced Conduits on a nationwide murdering spree. Governments and armies fall by the wayside as the noble goal of ensuring the survival of humanity at a great cost becomes a malevolent and emotionless purge. Infamous 2 presents a not-unfamiliar but rather thoughtless view on morality: that doing good is about struggling against the odds, while doing bad things is easy and dooms you forever. There is no anguish, regret or conflicted thinking in the mind of the evil video game protagonist. Just as anyone who killed a Little Sister in BioShock (girls who, you could argue, were pretty low on the quality of life scale) was immediately set on the path to becoming the oceanic equivalent of a Mongolian warlord, so too we see Cole instantly metamorphose into the most unrepentant and terrible person on the planet. The incongruities thrown up by the different endings aren’t limited to the script. 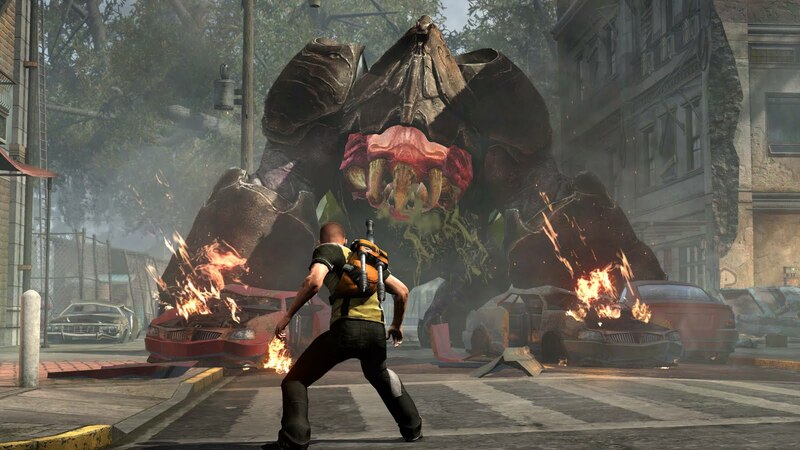 While the aforementioned karma system in Infamous 2 is a result of the narrative bending to accommodate more interesting gameplay — Cole picks up different powers depending on his alignment — and reduces your choices to a mechanical reward simulation, the final decision acts as a bizarre reversal. The game asks you to choose between the two women, and therefore between good and evil. But if your karma meter is at the maximum level in either direction you are unable to take the opposing choice. It states in no uncertain terms that you are simply not evil enough to decide for yourself where the story goes, and all your illusions about choice are stripped away. You are also helpfully informed that, if you really do want to go rogue, you can wander around the city doing side quests and random karmic time-wasters until your entire world view and shirt colour shift to match. Oddly enough, without this unusual insistence on playing Morality Snap, the stage is set for a genuinely complex climax and conclusion. Bertrand has been present through the game, feeding you caricatured sound bites about getting rid of the evil mutations and convincing you that genocide is a pretty bad idea for bad people; then the final act removes that character from the board and asks you to choose between two different genocides. Previously mentioned discrepancies in what people say is a good idea and what actually makes sense threaten to preface a surprisingly nuanced take on superhero tropes. And then there’s the motivations of your companions: straight-laced government agent Lucy Kuo wants to work with The Beast because she fears her own death, while the murderous Nix baulks at a world where she is no longer among a group of “special” people above the general population. Neither woman is making her decision based on what’s best or worst for society. Cole is trapped, however, and must pick a side in the imaginary battle between nice and nasty. Even if the player’s motives for choosing one side or the other are complex, the ending removes all doubt that what you’ve done is either eternally and unquestionably heroic or self-serving villainy on a monstrous scale. Given such a contrast between the intentionally thoughtful writing up to this point and the Saturday Morning Cartoon simplicity of the conclusions, one wonders if there were changes to the script late in development. 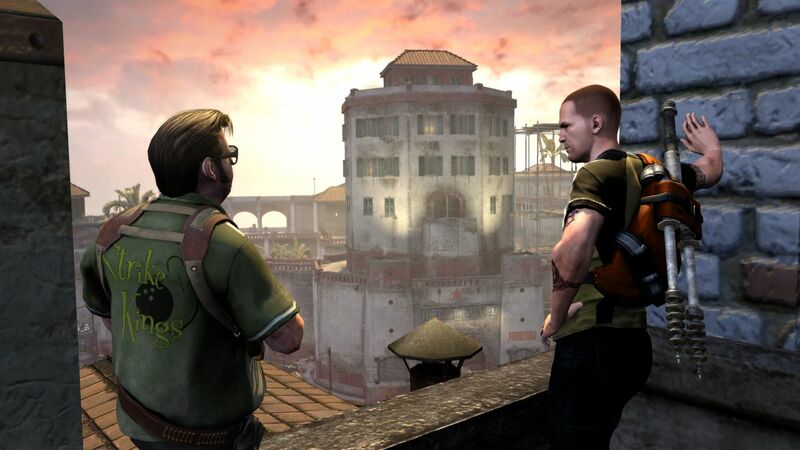 Whatever the reason, the end of Infamous 2 presents itself as a discordant curiosity. The perhaps-unexpected cleverness and conceptual depth of the writing that precedes it creates a moral ball of yarn more tangled that the game’s own stop-go karma system could even fathom. That alone, ironically, makes it one of the more thoughtful moral systems in the medium.